Shredding documents with an office shredder is a drain on your time and energy. With an outsourced shredding solution, your documents are professionally destroyed so you can focus on other important tasks. Shredding documents helps your business comply with these regulations and avoid non-compliance fines and penalties. You don’t have to be a KonMari Method™ expert to know a clean office leads to a productive business. Shredding old, outdated documents alleviates workspace clutter so your company is more efficient and organized. Improper disposal of trade secrets, marketing material, and sales data can leave your brand at risk. Shredding confidential business documents helps protect your organization from corporate espionage, counterfeiting, and brand theft. Piles and boxes full of paper are a fire hazard. Regular shredding of unwanted documents keeps paper-related fire hazards at bay. Corporate dependence on paper places a heavy burden on the environment. Paper shredding helps your organization contribute to a healthy planet. When you invest in a paper shredding service, your paper waste is responsibly recycled and used to produce a variety of paper products, including tissue, books, and magazines. The sum of these shredding benefits equals peace of mind. 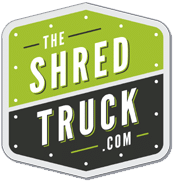 When performed in a secure, managed, and regulatory-compliant manner, document shredding allows you to rest easy.